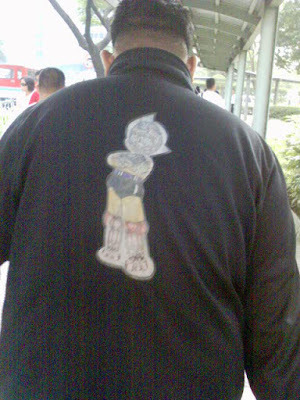 Feelin' Groovy: Cool Astroboy Jacket! Yes, you can really see Astroboy's insides. And it's not a plain print -- it's the kind where you get a different image when you shift your angle of view (paano ko nga ba dapat i-describe, ha? =p)! This is one of the best blog, i have ever seen in my life, really impressive work by webmatser, i must wanna share my views about this posting, that very low rang of people talk about this in public forum so hats off to blogger.